How does language service LinguaSys work? If you’re into basketball, no doubt you’ve heard about Mark Cuban, the billionaire owner of the Dallas Mavericks (who won the NBA Finals two years ago, credit to an outstanding Dirk Nowitzki, but that’s a different story). Cuban is the main reason I learned about LinguaSys. 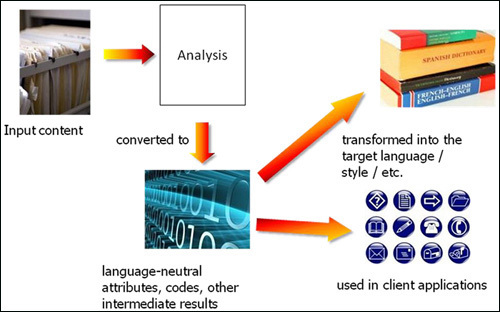 Carabao Machine Translation – LinguaSys uses a software engine integrating statistical data and rules-based data to convert text in one language to another (i.e. English to Mandarin or Hindi to English). This automated translation process can be applied to both lengthy texts and shorter communications like text messages or emails. Text analysis – Text analysis to me sounds like a very broad and complex area. Terms like ‘discourse extraction’ and ‘entity extraction’ do dazzle me a bit but it effectively comes down to LinguaSys being able to take unstructured text in any language, convert it into a language-neutral attributes and then process this into the target language (see Fig. 1 below for a visual overview of this process). Natural Language User Interface (NLUI) – With NLUI linguistic phenomena such as verbs, phrases and clauses act as user interface controls for creating and modifying data in software applications. LinguaSys’ NLUI offering enables people to carry out tasks online or use software in their own language without language related constraints. It was interesting to see that LinguaSys have now extended this NLUI capability to speech enabled mobile apps and social media networks too.